Hello again, everyone. My name is Hideo Baba from Namco Bandai Studios Inc., and I’m the producer for the Tales series. As some of you know from previous posts, I like to step in from time to time and deliver great news to our fans on PlayStation.Blog. Today is one of those special days! I’m very proud to announce that Tales of Zestiria, the newest installment and 20th Japanese anniversary commemorative title for the Tales franchise, will be launched in North America for PS3. This is a huge moment for Namco Bandai Games, and the Tales team in particular, as it’s the first time we’ve simultaneously announced the game for both Japan and the west. There’s not much else to say about Tales of Zestiria right now, so please stay tuned for more information in the future. In the meantime, we do have two other great Tales games coming out in North America to keep fans excited throughout next year. Tales of Symphonia Chronicles will be available on February 25th, 2014 for PS3, and features both Tales of Symphonia and Tales of Symphonia: Dawn of the New World. Expect new HD graphics and content for North American fans, including new outfits, Mystic Arte cut-ins, titles, unison attacks, and techniques. It will also be the first time that a Tales game features both an English and Japanese audio track. Tales of Xillia 2 will also be out across western territories next year for PS3 as well. It’s the sequel to this year’s Tales of Xillia, and focuses on two brand new characters: Ludger Kresnik and Elle Marta. One of the defining themes of the game is “choice,” and players will be able to speak through Ludger by the choices that they make throughout the game. And since this title takes place in the same world as Tales of Xillia, expect to see plenty of your favorite characters returning to help Ludger and Elle on their journey. We’ll have plenty more to talk about for this title in the coming months. The Tales team has been working hard to strengthen our relationship with overseas fans over the past few years, and we’ve seen the fruits of our labor with the success of Tales of Xillia — which has sold over a million copies worldwide. The Tales team would like to thank all of the Tales fans around the world for their continued support, and extend a warm welcome to new fans to the series as well. It would be icing on the already wonderful cake if you’d announce a western release for the Vita games Hearts and Innocence! Also, I know you are probably never going to do so, but I still would like to have Vesperia on PS3. I need this on PS4. By the time it’s released there’ll be a large user base. Glad to hear. I just recently got into the Tales series a few weeks ago with Tales of Xillia and I love it. I finally get to learn what all the hype is about and it’s one of those rare things that isn’t overrated . I look forward to Xillia 2 most of all, but with me still being a Tales newbie, what do I know? Namco… can you make a patch update to fix Tales of Xillia bad lighting/contrast issue? Been playing Tales since Symphonia’s release on the GC, even played a couple of the japanese exclusive ones. (i.e Vesperia PS3, Radiant Mythology 2+3). Nice to see another Tales title announced, for NA at that. You guys already have me excited to play Symphonia again with the HD pack and Xillia 2… and now you add Zestiria on top of that. Can’t wait to see more of Zestiria down the line. Oh and I’d like to second Rissyhime’s plea for some Tales Avatars on the PS Store, would love to get a couple of the ones that are already released in Japan over to NA and EU. Really? Then localize the Tales games on the Vita. Tales of Heart R and Tales of Innocence R were the two most requested JRPG’s to be localized. Bring me a localized version of one of those (or better yet both of them) and then I’ll believe that the Tales team is honestly working hard to strengthen the relationship between the Western market and the Tales series. Really excited to see a confirmed US release at the time of game reveal. That’s just awesome. I’ve been in love with the Tales of series since playing Eternia on PS1 and Phantasia on GBA. Really enjoyed Graces f and Xillia, and looking forward to Symphonia HD and Xillia 2 next year. And now Zestiria as well, I guess! Nice!!! So glad to hear this is coming to NA! Thank you!! Now if Xillia 2, Symphonia Chronicles, and this do well, let’s get Vesperia over here, yeah? Fantastic news! Thank you Hidea Baba and Namco for such a great series and for including us Western fans in your consideration. I look forward to playing this in the future! Awesome! I LOVE this series. Zestiria will be mine on its D1. I hope PS4 will have as many exclusive Tales of as PS3 has. I’d love Sony to know that I buy PS system because of games like this, or Persona 5, or Valkyria Chronicles, ecc… not because of things like Killzone, God of war and other casual games. More japanese games like this, Sony, please! These are very good news! Now make us all happy by bringing the PSVita Tales of titles that are chilling out in Japan. Please localize the Vita games too. I don’t care about playing a JRPG on a home console, portable all the way. And while we’re at it where’s the Vita version of Pirate Warriors 2, Namco?? So much Tales goodness! I bought the Tales of Xillia Limited Edition, so you can bet I’ll buy these new releases! Thank you for bringing these games to Western countries! I’m sold! Due to the success of its sequel Solatorobo: Red the Hunter, release the first game (Tail Concerto) on the PSN, its a GREAT game. Can we get this for PS4 also please!!!!! Man the RPGs offerings is just fabulous on the PS3!!!!!!!!!!!!! I hope you will localize Innocence & Hearts R for Vita too. Another tales game! :D Can’t wait to get my hands on it! I WILL buy this when it comes out. I jumped in to the Tales series for the first time with Xillia and loved it. I’m getting Xillia 2 and Symphonia HD as well. Let the good times roll!!! daaaamn, i remember when the 1st Xillia trailer came out in Japan, at the time it was only a pipe dream to see it released in english…. 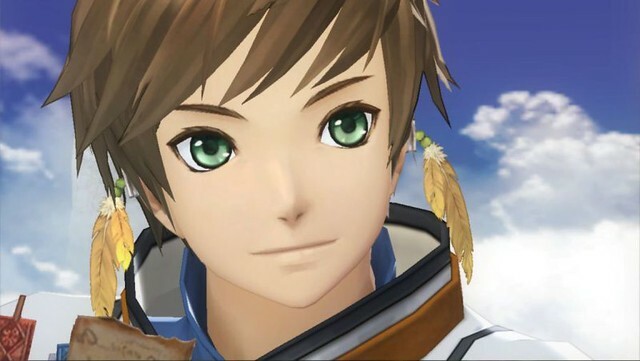 and today we see Zestiria announced simultaneously…. I can’t say thank you enough Baba, it looks like a fantastic game even with those blurry videos! I don’t know if my thanks will be heard but I am glad I can comment! Tales of Xillia got me into the series so i might try this one out, and definitely getting Xillia 2 when it comes out! Still no PS Vita support? Shame…looks like I’ll be spending my money elsewhere. I have never played any Tales game, have been thinking of getting Graces f or Xillia, which one do you guys recommend as starting point? Or should I go with any one I can get my hands on first? Can’t say Bandai is money hungry…Keeping most of the franchise in Asia and now it coming to North America and Europe, Not 1 but 3 games in almost 1 year. Happy to see that company start to understated that Tales of respected by every RPG fan even those who grow up on Squire Enix side.. (including me ) with Final Fantasy series.. Bring Tales of Vesperia to the North America on PS3 PLEASE! or at least add English subtitles patch so I can import the game from Japan to Canada. I’d love to see Tales of Hearts R in the west, especially after you gushed about Hearts. Maybe just a digital only release would be fine? Thank you for the great news Hideo Baba. I’m proud to say that Xillia is my first Tales of game and it made me fan of the series..
Great news. Glad we don’t have to wait. I’m a huge Tales fan and am uber excited for Zestiria. I’m glad the Tales Of Series is finally getting some well deserved attention in the US! Will definitely pick up the collectors edition if there is one to go with my Xillia and Symphonia! Thanks NamcoBandai!! I’m really looking forward to this! I would love it to be ported to PS4 with 1080p native resolution and all the extras the PS4 can offer. However, if that isn’t possible right now, I understand. I’m just thrilled it’s coming to PS3 in North America and at the same time as Japan. I’m also looking forward to Tales of Symphonia Chronicles and Tales of Xillia 2. I’m playing he first Tales of Xillia right now and I love it! The first thing that really impressed me was how beautiful the games is, with the amazing colors and art style. I find myself just moving the camera around and taking in the magnificent views. I haven’t even got to the meat and potatoes of the game yet and I’m thoroughly impressed. I’ve been a fan of the Tales of.. series of games since Tales of Destiny on PS1. I’m played everyone in the series except Tales of Vesperia that sadly never came to North America on PS3.. I would love that to eventually come to NA please. Have a Merry Christmas this year, Namco Bandai Studios Inc.!